May 2007 - Chris Anderson starts DIYDrones.com while building his Lego mindstorm base UAV. Sep 2008 - Jordi builds traditional helicopter UAV able to fly autonomously and wins the first Sparkfun AVC competition. Dec 2009 - first IMU based autonomous plane mission flown by Doug with modified ArduPilot v2.4. Early 2010 - ArduPilot 2.6 released by Doug and Jason with improved throttle control, and ArduIMU support. Oct 2010 - CopterNG (AeroQuad/ArduCopter merged code) project abandoned by ArduPilot team and handed over, with encouragement, to the ArduPirates team for further development. 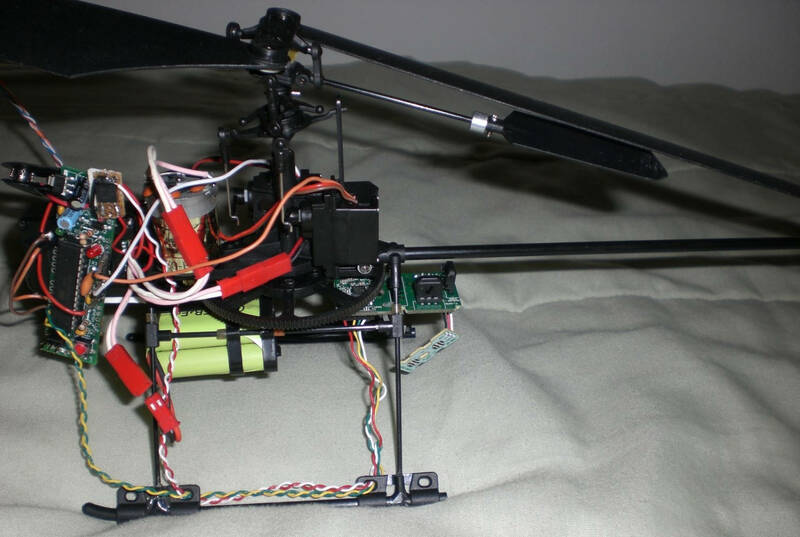 Jason restarts Copter with alternative control logic based on Plane making Copter autonomous. Adds Loiter, Circle, RTL, Mission scripting, failsafe, takeoff, landing, etc. Dec 2012 - Successfully prototype of 3rd order complementary filter by Jonathan Challinger leads to Copter’s inertial based altitude hold by Randy and Leonard (AC2.9). Dec 2013 - BeaglePilot project created by Víctor Mayoral Vilches and Siddharth Bharat Purohit to port APM codebase to Linux. The project was by Andrew Tridgell, Philip Rowse and others and funded by 3DR, Google (through the Google Summer of Code) and BeagleBoard. Mar 2014 - Emlid presented Navio, first Raspberry Pi autopilot shield that allows to run ArduPilot directly on Raspberry Pi. Sep 2014 - Tridge & Canberra UAV win the Outback Challenge with an ArduPilot based UAV plane (Tridge’s debrief). Oct 2014 - first report of Plane being successfully used in search & rescue including finding a missing light plane in Florida. Feb 2015 - Erle Robotics launches DIY kits for Linux drones based on APM. May 2015 - first documented multi-vehicle flight using only a single ground station (first three, then fifty!). March 2016 - 3DR ceases direct funding of ArduPilot community as it cuts jobs. March 2016 - Formation of the ardupilot.org non profit organisation and new website. May 2016 - Flirtey delivery drone (using ArduPilot) is entered into Smithsonian Air and Space Museum. Sep 2016 - Flymaple board support removed ( not actively tested or used , also lacks a maintainer see PR #4191 ). Sep 2016 - Relationship with 3DR, Chris Anderson and PX4 team lead sours as DroneCode Platinum board members outvote Silver board members to remove GPLv3 projects including ArduPilot from DroneCode. Sep 2016 - ArduPilot begins ArduPilot Partners group. Oct 2016 - Copter-3.4 release including object avoidance. May 2018 - Google Summer of Code funds 5 developers for the summer. Successful projects include Balance Bot support. The above list includes many of the major milestones for the project. Please see the ArduCopter.cpp or the GitHub contributors graph for a more complete list of contributors to the project.